One morning, after building the barn and moving the cows to the compost pack Martin received quite a scare. 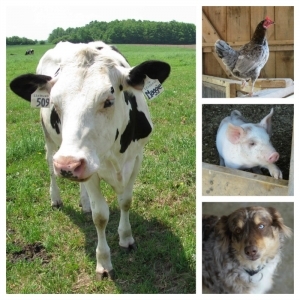 "I came out one morning to see a cow laying motionless on the compost pack. My chest tightened, and I thought for sure she was dead," remembers Martin. "When I approached her, I was relieved to find her breathing normally. It turns out she was just completely sound asleep - enjoying the comfort of the compost pack!" 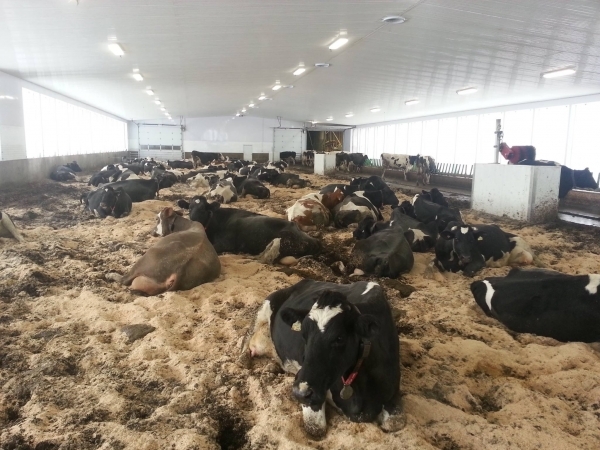 When entering the barn you'll find the cows walking and resting on the compost pack. It consists largely of sawdust and compost. Manure from the cows is mixed in twice daily. The ladies are able to behave more naturally in the large open area. The temperature at the surface of the compost pack is close to body temperature creating a comfortable, heated bed for the cows. 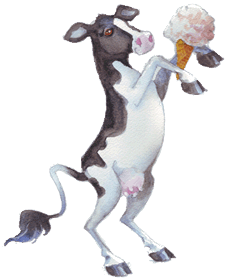 Dairy cows and other farm animals can become injured when they slip and fall. With the compost pack cows are less likely to fall, and if they do stumble they have a very soft landing. Arwa can't recall even one slip or fall injury since moving to the compost pack. Below the surface, within the actual compost pack, Arwa estimates the average temperature to be about 50 degrees Celsius. This helps kill bad bacteria that can create hoof issues. For cows that are calving they are able to lay down, get back up and move around to different areas as they labour and give birth. Compared to other bedding options the compost pack is the best for containing greenhouse gases. We're not going to claim we always smell like a bouquet of roses, but how the compost pack works means we have very few odour problems in the barn. 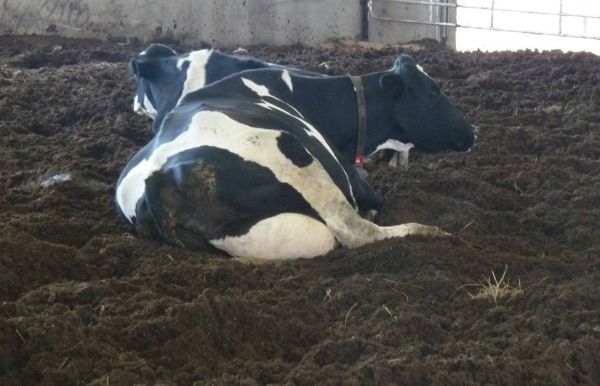 Although the feeding alley and milking area are cement only, the majority of the time the cows are walking on the soft compost pack, creating minimal noise. With ample room to move around and a flexible milking schedule, the ladies rarely 'bawl' or "moo." When the pack reaches a depth of approximately 3 feet, it is cleaned out and added to the fields as fertilizer. This usually takes place twice a year. Each time approximately 50% of the pack is left in place as an inoculant to restart the composting process in the new pack. The other 50% is sawdust. With all of these benefits and how well the compost pack fits with the principles of organic farming, the compost pack has been a very welcome addition to Mapleton's. To read more about why we chose a compost pack and how it is maintained visit here.